In this book there will be nothing said concerning metaphysical theories or philosophical hypotheses; instead, there will be a very strict adherence to the principles of psychology. There will be nothing said of ''spirit'' or "soul''; but very much said of "mind." There will be no speculation concerning the question of "what is the soul," or concerning "what becomes of the soul after the death of the body." These subjects, while highly important and interesting, belong to a different class of investigation, and are outside of the limits of the present inquiry. We shall not even enter into a discussion of the subject of "what is the mind"; instead, we shall confine our thought to the subject of "how does the mind work." Many philosophers and metaphysicians have sought to tell us "just what" the mind is; but they usually leave us as much in doubt as before the so-called explanation. As the old Persian poet has said, we usually "come out the door in which we went," in all such discussions and speculations concerning the nature of mind, or "just what mind really is." We can, and do, know much about how the mind works, but we know little or nothing about what the mind really is. But, for that matter, so far as practical purposes are concerned, it makes very little difference to us just what the mind is, providing we know just how it works, and how it may be controlled and managed. In this book there will be nothing said concerning metaphysical theories or philosophical hypotheses; instead, there will be a very strict adherence to the principles of psychology. There will be nothing said of ''spirit'' or "soul''; but very much said of "mind." There will be no speculation concerning the question of "what is the soul," or concerning "what becomes of the soul after the death of the body." These subjects, while highly important and interesting, belong to a different class of investigation, and are outside of the limits of the present inquiry. We shall not even enter into a discussion of the subject of "what is the mind"; instead, we shall confine our thought to the subject of "how does the mind work." For the purposes of the present consideration of the subject before us, we shall rest content with the fundamental postulate that "Every man or woman has a mind," and the corollary that when an intelligent man or woman speaks of "myself," he or she is conscious that his or her "mind" has a more intimate relation to that "self" than has his or her "body.'' The ''body" is usually recognized as "belonging to" the "self," while the "mind" is usually so closely identified with the "self" that it is difficult to distinguish them in thought or expression. Many philosophers and metaphysicians have sought to tell us "just what" the mind is; but they usually leave us as much in doubt as before the so-called explanation. As the old Persian poet has said, we usually "come out the door in which we went," in all such discussions and speculations concerning the nature of mind, or "just what mind really is." We can, and do, know much about how the mind works, but we know little or nothing about what the mind really is. But, for that matter, so far as practical purposes are concerned, it makes very little difference to us just what the mind is, providing we know just how it works, and how it may be controlled and managed. A well-known psychologist has well said: "It used to be the fashion to begin psychologies with a discussion concerning the material or immaterial nature of the mind. It has been well said that psychology is no more bound to begin by telling what the mind is, than physics is obliged to start by settling the vexed question as to what matter is. Psychology studies the phenomena of mind, just as physics investigates those of matter. Fortunately, phenomena do not change with our varying views as to what things really are. The phenomena of electricity remain the same whether we consider it a fluid, a repulsion of molecules, or vibrations of the ether. If a man hold the strange theory that electricity was a flock of invisible molecular goats that pranced along a wire with inconceivable rapidity, he would still have to insulate the wires in the same way, generate the current in the same way. A strong discharge would kill him as quickly as if he held a different theory. In short, his views of the ultimate substance of electricity would in nowise change its phenomena. If any materialist should hold that the mind was nothing but the brain, and that the brain was a vast aggregation of molecular sheep herding together in various ways, his hypothesis would not change the fact that sensation must precede perception, memory, and thought; nor would the laws of association of ideas be changed, nor would the fact that interest and repetition aid memory cease to hold good. The man who thought his mind was a collection of little cells would dream, imagine, think, and will; so also would he who believed his mind to be immaterial. It is very fortunate that the same mental phenomena occur, no matter what theory is adopted. Those who like to study the puzzles as to what mind and matter really are, must go to metaphysics. Should we ever find that salt, arsenic, and many things else, are the same substances with a different molecular arrangement, we should still not use them interchangeably. Another well-known psychologist, speaking upon the same subject, calls our attention to the custom of a celebrated teacher of psychology who usually began his first lecture by bidding his pupils to "think about something, your desk, for example"; he who would then add: "Now think of that which thinks about the desk"; and then, after a few moments concluding the remark with the statement: "This thing which thinks about the desk, and about which you are now thinking, is the subject matter of our study of psychology." The psychologist above mentioned has said further on this subject: "The mind must either be that which thinks, feels, and wills, or it must be the thoughts, feelings, and acts of will of which we are conscious—mental facts, in one word. But what can we tell about that which thinks, feels, and wills, and what can we find out about it? Where is it? You will probably say, in the brain. But, if you are speaking literally, if you say that it is in the brain, as a pencil is in the pocket, then you must mean that it takes up room, that it occupies space, and that would make it very much like a material thing. In truth, the more carefully you consider it, the more plainly you will see what thinking men have known for a long time—that we do not know and cannot learn anything about the thing which thinks, and feels, and wills. It is beyond the range of human knowledge. The books which define psychology as the science of mind have not a word to say about that which thinks, and feels, and wills. They are entirely taken up with these thoughts and feelings and acts of the will—mental facts, in a word—trying to tell us what they are, and to arrange them in classes, and tell us the circumstances or conditions under which they exist. It seems to me that it would be better to define psychology as the science of the experience, phenomena, or facts of the mind, soul, or self—of mental facts, in a word." And, so in this book, we shall not invade the field of metaphysics or the region of philosophy, with the endless discussions of "about it and about" concerning the "just what is" of the soul, self, or mind. Rather shall we dwell contentedly in the safer region of "mental facts," and speak only of the "just how to do things'' with the mind, based upon the discovery of "just how the mind works" made by advanced psychology. This is the method of the Pragmatic Plan now so favored by modern thinkers—the plan which is concerned with the "how," rather than with the "ultimate why." As William James has said: "Pragmatism is the attitude of looking away from first things, principles, categories, supposed necessities; and of looking forward toward last things, fruits, consequences, facts." As another writer has said: "Modern psychology is essentially prismatic in its treatment of the subject of the mind in giving to metaphysics the old arguments and disputes regarding the ultimate nature of mind, it bends all its energies upon discovering the laws of mental activities and states, and developing methods whereby the mind may be trained to perform better and more work, to conserve its energies, to concentrate its forces. To modern psychology the mind is something to be used, not merely something about which to postulate and theorize. While the metaphysicians deplore this tendency, the practical people of the world rejoice." But, you may say, what do you mean by "The Master Mind?" What is the difference between a Master Mind and any other form of Mind? Simply this, good readers, that the Master Mind is consciously, deliberately, and voluntarily built up, cultivated, developed, and used; whereas the ordinary mind is usually unconsciously built up, cultivated, and developed, without voluntary effort on its own part, but solely by the force and power of impressions from the outside world, and is usually employed and used with little or no conscious direction by its own will. In short, the ordinary mind is a mere creature of circumstances, driven hither and thither by the winds of outside forces, and lacking the guidance of the hand on the wheel, and being without the compass of knowledge; while the Master Mind proceeds in the true course mapped out by Intelligence, and determined by will—with sails set so as to catch the best breeze from the outside world, and steered by the master-hand at the wheel, under the direction of the compass of intelligence. The ordinary mind is like a dumb, driven animal, while the Master Mind is like the strong-willed, intelligent, masterful Man. The average man is a very slave to his thoughts and feelings. A stream of thought and feeling flows through him, moving him hither and thither with little or no voluntary choice on his own part. Even those men who have attained a certain degree of mental mastery do but little more than to feebly steer their mental bark by the rudder of a wobbling will—they do not realize that Mastery is possible to them. Even a well known writer has said: ''We do not voluntarily create our thinking. It takes place in us. We are more or less passive recipients. We cannot change the nature of a thought; but we can, as it were, guide the ship by a moving of the helm.'' It would be truer to say that we can deliberately and voluntarily select and choose the particular wind which is to force our mental boat forward or, changing the figure, to choose and select the particular stream of thought and feeling which is to be allowed to flow through our mind. (3) Mental Mastery, in which the mental faculties, and emotional organism have been brought under the control of the will and judgment, and the individual is a master of, and not a slave to, environment and circumstances. The great masses of persons are in the first or the above named classes; a comparatively small number have passed into the second class; while a still smaller number have passed into the third class, and have become the Master Minds of their time and place. A talented writer has said along these lines: "We moderns are unaccustomed to the mastery over our inner thoughts and feelings. That a man should be a prey to any thought that chances to take possession of his mind, is commonly among us assumed as unavoidable. It may be a matter of regret that he should be kept awake all night from anxiety as to the issue of a lawsuit on the morrow, and that he should have the power of determining whether he be kept awake or not seems an extravagant demand. The image of an impending calamity is no doubt odious, but its very odiousness (we say) makes it haunt the mind all the more pertinaciously, and it is useless to expel it. Yet this is an absurd position for man, the heir of all the ages, to be in: lag-ridden by the flimsy creatures of his own brain. If a pebble in our boot torments us, we expel it. We take off the boot and shake it out. And once the matter is fairly understood, it is just as easy to expel an intruding and obnoxious thought from the mind. About this there ought to be no mistake, no two opinions. The thing is obvious, clear and unmistakable. It should be as easy to expel an obnoxious thought from the mind as to shake a stone out of your shoe; and until a man can do that, it is just nonsense to talk about his ascendancy over nature, and all the rest of it. He is a mere slave, and a prey to the bat-winged phantoms that flit through the corridors of his own brain. Yet the weary and careworn faces that we meet by thousands, even among the affluent classes of civilization, testify only too clearly how seldom this mastery is obtained. How rare indeed to find a man! How common rather to discover a creature hounded on by tyrant thoughts (or cares, or desires), cowering, wincing under the lash—or perchance priding himself to run merrily to a driver that rattles the reins and persuades him that he is free—whom he cannot converse with in careless tete-a-tete because that alien presence is always there, on the watch. "It is one of the prominent doctrines of some of the oriental schools of practical psychology that the power of expelling thoughts, or if need be, killing them dead on the spot, must be attained. Naturally the art requires practice, but like other arts, when once acquired there is no mystery or difficulty about it. It is worth practice. It may be fairly said that life only begins when this art has been acquired. For obviously when, instead of being ruled by individual thoughts, the whole flock of them in their immense multitude and variety and capacity is ours to direct and dispatch and employ where we list, life becomes a thing so vast and grand, compared to what it was before, that its former condition may well appear almost ante-natal. If you can kill a thought dead, for the time being, you can do anything else with it that you please. And therefore it is that this power is so valuable. And it not only frees a man from mental torment (which is nine-tenths at least of the torment of life), but it gives him a concentrated power of handling mental work absolutely unknown to him before. The two are co-relative to each other. "While at work your thought is to he absolutely concentrated upon and in it, undistracted by anything whatever irrelevant to the matter in hand—pounding away like a great engine, with giant power and perfect economy—no wear and tear or friction, or dislocation of parts owing to the working of different forces at the same time. Then when the work is finished, if there is no more occasion for the use of the machine, it must stop equally, absolutely—stop entirely—no worrying (as if a parcel of boys were allowed to play their devilments with a locomotive as soon as it was in the shed)—and the man must retire into that region of his consciousness where his true self dwells. "I say that the power of the thought-machine is enormously increased by this faculty of letting it alone on the one hand, and of using it singly and with concentration on the other. It becomes a true tool, which a master-workman lays down when done with, but which only a bungler carries about with him all the time to show that he is the possessor of it. Then on and beyond the work turned out by the tool itself is the knowledge that comes to us apart from its use; when the noise of the workshop is over, and mallet and plane laid aside—the faint sounds coming through the open window from the valley and the far seashore; the dim fringe of diviner knowledge which begins to grow, poor thing, as soon as the eternal click-clack of thought is over—the extraordinary intuitions, perceptions, which though partaking in some degree of the character of the thought, spring from entirely different conditions, and are the forerunners of a changed consciousness. "The subjection of thought is closely related to the subjection of desire, and has consequently its specially moral as well as its specially intellectual relation to the question in hand. Nine-tenths of the scattered or sporadic thought with which the mind usually occupies itself when not concentrated on any definite work, is what may be called self-thought—thought of a kind which dwells on and exaggerates the sense of self. This is hardly realized in its full degree till the effort is made to suppress it; and one of the most excellent results of such an effort is that with the stilling of all the phantoms which hover around the lower self, one's relations to others, to one's friends, to the world at large, and one's perceptions of all that is concerned in these relations, come out into a purity and distinctness unknown before. Obviously, when the mind is full of little desires and fears which concern the local self, and is clouded over by the thought images which such desires and fears evoke, it is impossible that it should see and understand the greater facts beyond, and its own relation to them. But with the subsiding of the former, the great vision begins to dawn; and a man never feels less alone than when he has ceased to think whether he is alone or not." From the above the reader may get a general idea of what we mean when we speak of the Master Mind. But, as we proceed with the unfoldment of the general idea upon which this book is based, the reader will catch the spirit of the idea in a way impossible for him now when the subject has been presented to him merely in its general aspects. There are so many angles of viewpoint, and so many varied applications of the general principle involved, that it is necessary for the careful student of the subject to understand the many details of the presentation before he can expect to "catch the spirit of it," at least to the extent of being able to put into actual practice the working method which will be presented for his consideration in this book. But, it may be safely stated that any one of average intelligence, with ordinary study and practice, may master these principles and methods of application to such an extent that he will know for himself, by actual results obtained, that he is no longer a Mental Slave but has developed into a Mental Master. The individual of the Master Mind is able to so control his powers of attention and concentration that he will be able to choose and select exactly the kind of thoughts and ideas which he requires in his business of life and effort. Moreover, he will be able to manifest these thoughts and ideas into effective and efficient action and expression, so as to obtain precisely the kind of results desired by him. Moreover, he will be able to govern, select, control, and choose the character and quality of his thoughts and ideas, but also to manifest the same power regarding his emotions and feelings, his tastes and "likes." And this last is very important, for, as we shall see presently, most of our thoughts and ideas come to us in response to our feelings, desires, and likes. Not only this, but the individual of the Master Mind is able to set to work intelligently, and under full control, those marvelous faculties which operate on the subconscious planes of mind, and which are able and willing to perform much of our mental work for us below the surface of ordinary consciousness, and thus leave free for other tasks the faculties ordinarily employed in the thinking processes. It is believed by the best authorities on the subject that fully eighty-five percent of our mental activities are performed on planes under the surface of our ordinary consciousness. This being so, it is seen at once that one who is able to control and master these subconscious metal activities will and must be capable of results impossible to those who allow their subconscious mentality to wander about like horses in a pasture, or else rush like runaway horses in whatever direction they like and thus wreck the chariot rather than reaching the goal of the ambitious. In short, the individual of the Master Mind is indeed a MASTER of his mental machinery, and is able to turn out a mental product of the highest quality and degree of efficiency. And, thus being the Master of himself, he becomes the Master of much in the outside world. To the Master Mind, even circumstances seem to come under conscious control and management; and other men and women seem to be ready to accept direction and control from such a masterful mentality. The Master Mind creates a world for itself, in which it dwells supreme, and to which it attracts and draws that which is conducive to its welfare and happiness, its success and achievement. You are invited to become a Master Mind. Will you accept the invitation? If so, you will carefully study the principles herein explained, and apply the methods herein set forth and described. The idea of "mastery" inevitably carries with it the notion of dominion, power, or supremacy exercised by some person or thing which is regarded as the "master." The spirit and essence of the term ''master'' is that of ''governor, ruler, director, leader, manager, or controller." In short, the essential meaning of the two terms, "master" and "mastery," respectively, is bound up with the idea of "government." To "govern" anything, the governing authority regulates, directs, restrains, manages, entourages, and exercises general control and direction. In all forms of government there is to be found a certain central point of authority—a certain central power which is sovereign within its own realm, and which has the authority to promulgate commands and the authority to enforce them. Whether the government is that exercised by the chief of a savage tribe, who gains and holds his position by means of physical strength; whether it be that of the monarch of a kingdom, who gains and holds his position by hereditary rights; or whether it be that of the president of a republic, who gains and holds his position by the will of the people; the central authority is vested in some one particular individual. And, descending in the scale, we find the same principle in operation and force in the government of a public meeting, a school room, a workshop, or an office. In short, wherever there is government, there must be a central governing authority—a Master. The above general principle being recognized, the reasoning mind at once applies it to the question of the operation and government of the mental powers and faculties. If the mind is held to be "governed" at all, or to be capable of "government" (and who can doubt this? ), then there must be some central governing authority—some Mind Master whose authority, when exercised, is recognized and obeyed by the other mental units, powers, faculties, or forces. This being so, the reasoning investigator then naturally proceeds to the discovery of this Mind Master. Let us play the part of this reasoning investigator, and proceed with him to the discovery of the Mind Master—the central point of authority and power in the kingdom of mind. 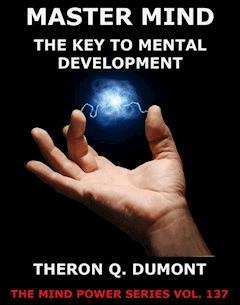 Some psychologists would have us believe that the intellectual faculties are the governing powers of the mind. But it will take but little thought to inform us that in many cases the intellectual powers are not the masterful forces in the mental activities of the individual; for in many cases the feelings, desires, and emotional factors of the person run away with his reason, and not only cause him to do things which his reason tells him that he should not do, but also so influence his reason that his "reasons" are usually merely excuses to his actions performed in response to his feelings and emotions. Other psychologists would have us believe that the desires, feelings, and emotions of the individual are his mental masters; and in many cases it would appear that this is true, for many persons allow their feelings, emotions, and passions to govern them almost entirely, all else being subordinated to these. But when we begin to examine closely into the matter we find that in the case of certain individuals there is a greater or less subordination of the feelings and emotions to the dictates of reason; and in the case of persons of excellent self-control the reason would appear to be higher in authority than the feelings. And in the case of recognized Mental Masters, it is even found that the very feelings, passions, and emotions are so obedient to higher mental authority that in many cases they may actually be transformed and transmuted into other forms of feeling and emotion in response to the orders or commands of the central authority. The reasoning investigator usually discovers that the Mind Master is not to be found in the respective realms of the first two of the three great divisions of the mental kingdom, i.e., in the division of Thought, or that of Feeling, respectively. The investigator then turns to the third great division of the mental kingdom, i.e., that of Will, in his search for the sovereign power. And at first, it would appear that here, in the region of the Will, he had found the object of his search; and that the Will must be acclaimed the master. But when the matter is gone into a little deeper, the investigator discovers that not in Will itself, but in a Something lying at the very center of Will, is to be found the Mind Master. While it is seen that the Will is higher in power and authority than either Thought or Feeling, yet it is also seen by the careful investigator that in most cases the Will is controlled and brought into activity by the Feelings; and that in other cases, it is started into action by the result of Thought or intellectual effort. This being so, the Will cannot be considered as being always the Mind Master. And, discovering this, the investigator at first begins to feel discouraged, and to imagine that he is but traveling around a circle; in fact, many thinkers would have us believe that the mental processes work around in a circle, and that like a ring the process has no point of beginning or point of ending. But those who have persisted in the search have been rewarded by a higher discovery. They have found that while many persons are impelled to will by reason of their feelings and emotions; and others by reason of their thoughts; there is a third class of individuals—a smaller class to be sure—who seem to be masters of the will-activity, and who, standing in the position of a judge and sovereign power, first carefully weigh the merits of both feelings and thoughts, and then decide to exercise the will-power in a certain determined direction, and then actually do exert that power. This last class of individuals may be said to really will to will by the exercise of some higher authority found within themselves. These men are the real Master Minds. Let us seek to discover the secret of their power. There is in the mental realm of every individual a certain Something which occupies the position of Central Authority, Power, and Control over the entire mental kingdom of that person. In many cases —in most cases, we regret to say—this Something seems to be asleep, and the kingdom is allowed to run itself, "higgledy-piggledy," automatically and like a piece of senseless machinery, or else under the control of outside mentalities and personalities. In other cases—in many cases, in fact—this Central Authority has partially awakened, and consequently exerts at least a measure of its authority over its kingdom, but at the same time fails to realize its full powers or to exert its full authority; it acts like a man only half awakened from his sleep, and still in a state of partial doze. Rising in the scale we find cases of still greater degree of "awakening," until finally we discover the third great class of individuals—a very small class, alas!—in whom the Central Authority has become almost or quite fully awake; and in whom this Mind Master has taken active control of his kingdom, and has begun to assert his authority and power over it. This first class is composed of the masses of the people; the second class is composed of those who occupy positions and places of more or less authority and power in the world's affairs; and the third class is composed of those exceptional individuals who are the natural rulers of the destiny of the race, and directors of its activities—the real Master Minds. There is only one way of aiding the investigator to discover this Something—this Central Authority—this Mind Master. That one way consists of directing the investigator to turn his perception inward, and to take stock of his numerous mental faculties, powers, activities, and bits of mechanism, and to then set aside as merely incidental and subordinate all that appears to be so. When all these have been set aside in the process of elimination, then there will be found a Something which is left after the process, and which absolutely refuses to be set aside as merely incidental and subordinate—and that Something is then perceived to be the Central Authority, or Mind Master, even though it be half-asleep, and unconscious of its great powers. But for that matter, no Mind Master which is deeply wrapped in slumber will ever discover itself, for it must have been at least partially awakened in order (1) to have thought of the matter at all, or to be capable of thought on the subject; and (2) to have to power of attention and application necessary to pursue the investigation. So, good reader, if you have the desire to find the Mind Master (which is Yourself), it is a sign that you have at least partially awakened; and if you have the determination to pursue the search, it is a sign that you are still further awakened. So you are justified in feeling the courage and the certainty of attainment necessary for the successful termination of the search for the Mind Master—the Something within yourself. You, the person now reading these words—YOU, yourself—are now asked to make this search of your mental kingdom, this search which has for its aim the discovery of the Something Within yourself which is the Mind Master, and which, when fully aroused into conscious power and activity, makes you a Master Mind. The writer will stand by your side during this search, and will point out to you at each stage of the search the essential points thereof. You will not be asked to accept any metaphysical theories, or religious dogmas: the search will be confined to strictly psychological fields, and will proceed along strictly scientific lines. You will not be asked to accept the authority of anyone else in the matter: your own consciousness will be the court of last appeal in the case. Let us begin with your sensations, or report of your senses. You are constantly receiving reports of one or more of your five senses, viz., the respective senses of touch, taste, smell, sight, and hearing. All these reports are in the form and nature of impressions received from the outside world. All that we know of the outside world is made known to us by means of these impressions received through the senses. A writer has said: "The senses are the means by which the mind obtains its knowledge of the outside world. Shut out from all direct communication with the outer world, it knows, and can know, nothing of what exists or is passing there, except what comes to it through the senses. Its knowledge of what is external to itself is therefore dependent upon the number, state and condition of the sensory organs." But, important as are the five senses and their mechanism, we need but a little thought to convince us that we do not find here the essential fact and power of mind, but rather merely incidental and subordinate powers. We can easily prove this to ourselves in many ways. For instance, we may shut out or shut off the channel of communication of any or all of the channels of the senses, and still be conscious of our own mental existence. Or, we may use the will, through the power of attention, and thus determine which of the many sets of sense impressions seeking admission to our consciousness we shall really receive and entertain in consciousness. We may thus choose between many sounds, or many sights, and deliberately shut out the others. If the sense impressions were the Masters, we could not do this; and so long as we are able to do this, we must look for the Master higher up in the scale. Moreover, in all of our experience with these sense impressions, we never lose sight of the fact that they are but incidental facts of our mental existence, and that there is a Something Within which is really the Subject of these sense reports—a Something to which these reports are presented, and which receives them. In short, there is always the Something which knows or experiences these sensations. We recognize and express this fact when we say "I feel; I see; I hear," etc. There is always the thing- sensed, then the process of sensing, and finally the Something which experiences the sensation. This Something we speak of as "I." The "I" is always the subject which experiences the sense reports—the Something to whom the messages are presented. And as this Something is capable of either accepting or rejecting, or selecting and controlling, these messages or reports, then the latter cannot be regarded as the Mind Master. In the same way, we next proceed to the consideration of the Emotional phases of our mentality. In this great realm of the mind we may, at least for the purposes of the present inquiry, include all those mental experiences that come under the respective head of "feelings," "passions," "desires," etc. These seem a little closer to us than did the sensations. This because the sensations came from outside of ourselves, while the emotions and feelings seem to come from within a part of ourselves. The emotional part of our nature is very powerful, so powerful, indeed, that it often seems to rule the entire being of the individual. But a little careful examination will convince us that we may, by the use of the will, not only refuse to obey our emotional urges and demands, but may even destroy them, or replace them with others. If our emotions were really Masters, we would be bound to act upon them at all times, and upon all occasions, for there would be nothing in us to say Nay! to them. But no one outside of the most primitive and elemental individuals would permit any such rule on the part of the emotional nature, even the less advanced of the race are able to at least partially control and manage the emotional part of their mental nature; and the advanced individuals have acquired the power of frequently deliberately setting aside the dictates of the emotions, and of asserting the power of control over them. So, here too, we see that the Master must be looked for higher up in the scale. As in the case of the sensations, here too, in the case of the emotions we discover the presence of that Something Within which is the Subject of the emotions—the Something to which the emotions report, and from whom they demand action. Here again we find this "I" occupying a higher seat, and having the reports and demands of the subordinate faculties made upon it. And, mark you this, that in spite of the constant change in the emotional stream of feeling, this "I" always remains the same. Just as in the case of the sensations, the "I" occupies the position of a spectator to whom are presented the sense experiences, so in the case of the emotions the "I" occupies the position of the Something which experiences the ever changing "feeling" of the emotional nature. In both cases there seems to be this constant Something, past which flows the respective streams of Sensations and Emotions. And this Something also has the power to direct and change the course of these streams, if it will but exert its Will Power. Next we consider the great realm of Thought. Here, too, we find a constant stream of thoughts flowing past the Something—the "I"—which is practically the spectator of the flowing stream; and which also has the power of directing and controlling the stream. While it is true that the individuals of primitive natures are almost passive spectators of the streams of their thoughts, and exercise little or no control over them, it is an unquestioned fact that other individuals who have cultivated their Will Power are able to turn their attention to this kind of thoughts, or that kind, and thus control and determine just what kind of thoughts they shall think. Every student performs this feat of control and mastery when he voluntarily directs his attention to some particular study which he desires to master. In fact, all "voluntary attention" is performed by the exercise of this power of the will, exerted by this Something Within which we call "I," and which thus proves itself to be the Master of Thoughts. The individual who has trained his mind to obey his will, is able to direct his thought processes just as he directs his feet, or his hands, or his body, or just as he guides and manages his team or horses or his motor car. This being so, we cannot consider our Thought processes or faculties as the Mind Master, but must look for the latter in something still higher in authority. There seems to be but one other region of the mind in which to search for our Mind Master, or Central Authority. You naturally say here "He means The Will." But is it merely the Will? Stop a moment and consider. If the Will, in itself, is the Mind Master, why is it that the Will, in the case of so many persons, allows itself to be controlled and called into action by ordinary feelings, desires, emotions, or passions, or on the other hand is called into action by the most trifling passing thought or idea? In such cases it would appear that the Will is really the obedient "easy" servant, rather than the Master, does it not. That the machinery of the Will is the mechanism of control and action, is undoubted; but what is it that controls and directs the Will in the cases of individuals of strong Will Power? In such cases it would seem that not only must the Will be strong, but that there must be some stronger Something which is able to control, direct, and apply the power of the Will. In moments in which you have exerted your Will Power, did you identify yourself with your Will, or did you feel that your Will was an instrument of power "belonging to" you, and being operated by you. Were you not at such moments aware of feeling an overwhelming consciousness of the existence of your self, or "I," at the center of your mental being? and of feeling that, at least for the time, this "I" was the Master of all the rest of your mental equipment? We think that you will agree to this statement, if you will carefully live over again the experiences of such moments, and in imagination and memory re-enact the experience. All mental analysis brings the individual to the realization that at the very center of his mental being there abides and dwells a Something—and he always calls this "I"— which is the permanent element of his being. While his sensations, his feelings, his emotions, his tastes, his thoughts, his beliefs, his ideas, and even his ideals have changed from time to time, he knows to a certainty that this "I" has been permanent, and that it is the same old "I" that has always been present during his entire life, from his earliest days. He knows that although his emotional nature, and general mental physical character may have undergone an almost total transformation and change, yet this "I" has never been really changed at all, but has ever remained "the same old I." It is as if this "I" was an individual who had worn many successive coats, or shoes, or hats, but always remained the same individual. The consciousness of every individual must always so report to him, when the answer is demanded of it. And, moreover, while the individual may and does change his sensations, his feelings, his tastes, his passions, his emotions, and his whole general character in some cases, he is never able to change in the slightest degree this Something Within which he calls "I." He can never run away from this "I," nor can he ever move it from its position. He can never lift his "I" by means of his mental bootstraps; nor can his personal shadow run away from this "I" of his individuality. He may set apart for consideration each and every one of his mental experiences, his sensations, his thoughts, his feelings, his ideas, and all the rest; but he can never set off from himself this "I" for such inspection. He can know this "I" only as his self, that Something Within at the very center of his consciousness. A writer has said of this Something Within, which we call "I": "We are conscious of something closer to the center than anything else, and differing from the other forms in being the only form of consciousness to which we are not passive. This Something is in the normal consciousness of each of you, yet it is never a part of sensation, nor emotion, but on the contrary is capable of dominating both. Another writer has said: "The 'I' is the Thinker, the Knower, the Feeler, the Actor. Its states of consciousness are constantly changing—different today from those of yesterday, and different tomorrow from those of today—but the 'I,' itself, is always the name. Just what this 'I' is, we cannot tell. This riddle has never been solved by the reason of man. So subtle is its essence that it is almost impossible to think of it as a something apart from its mental states. All that can be said of it is that it is. Its only report of itself is 'I Am.' You cannot examine the 'I' by the 'I.' You must have an object for your subject; and if you make the 'I' your object, you have no subject left to examine it. Place the 'I' under the mental microscope to examine it, and lo! you have nothing to look through the glass —there is no 'I' at the eye-piece of the microscope to examine it. The 'I' cannot be at both ends of the glass at the same time. Here, at last, you have found an Ultimate Something which defies all analysis, refinement, or separation." This Something Within—this "I"—is that entity which in philosophy and metaphysics has been called "The Ego"; but such name does nothing in the way of defining it. You need not stop to speculate over "just what" the Ego is, for you will never learn this. All that you can know is that it IS—and you know this from the ultimate report of your own consciousness, and in no other way, for nothing outside of yourself can make you know this otherwise. This Ego is the Mind Master—the Central Authority of your Mind. It is this that is able to master, control, manage, rule, regulate and direct all of your mental faculties, energies, powers, forces, and mechanism. It is this Ego, when fully awakened into activity, which constitutes the essence of the Master Mind.